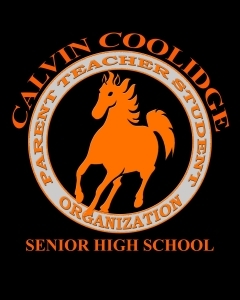 We are excited to announce the opening of The Calvin Coolidge High School’s Parent Alumni Community Resource Center (PACRC) in the Fall of 2007. The Center was created in the wake of the “No Child Left Behind Act” where it is suggested that schools and school districts provide an environment that supports teachers and school leaders by engaging parents in their child’s educational program. It will also benefit the school in general and provide valuable information and support for parents, enabling them to become effective advocates for their children and Calvin Coolidge High School. Thanks to the unrelenting commitment from alumnus Greg Roberts through the DC Children’s Investment Trust Corp., Frank Jones, President, Calvin Coolidge Alumni Association, Terry Goings, PTSO President, and a host of others, this vision has now become a reality. We encourage you to share your suggestions and volunteer your time, to enable us to provide a Center especially for parents, as we are entrusted to helping parents, help their children. Funded with support from the DC Children and Youth Investment Trusts Corporation. The Coolidge PTSO General Body Actions are monthly meetings where organizational business is conducted, guest speakers present various topics, and the principal briefs parents on current issues and initiatives. Eventually, the PTSO plans to revive its monthly actions in which parents spend the evening participating in an "action" such as printing and then affixing room number signs outside classrooms, or completing a short-term beautification project. View this photo album The Workforce Development Program (WDP) started in February 2009 and serviced over 50 students. The program solicited alumnus resources and volunteers to mentor, train and develop students for college and employment. Students also went on field trips and two college tours. The most memorable experience was a trip to Louisville, KY to tour the Ali Center and the University of Louisville. Twelve (12) students were the lucky recipients of this trip and for many it was their first experience at flying. Although the program ended in June 2009, mentors remained in contact with the students during the summer months to monitor their progress and offer assistance as needed.